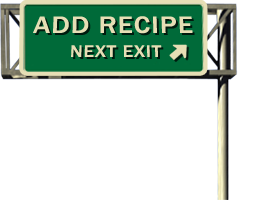 I first came across a version of this recipe while traveling through the mountains of North Carolina just off the Smoky Mountain parkway which is one of my favorite RV drives. The original scale of this recipe was much larger and suited for parties, pot luck dinners and church gatherings. Of course the optional alcoholic content changed depending on the kind of party, pot luck and church. Cheerwine is not wine nor alcoholic. It is a cherry flavored regional soft drink originally sold only in North Carolina but now available through many southern grocery stores. I have found Cheerwine in grocery stores and Wal-Mart Superstores as far west as Louisiana and Eastern Texas but they make it hard to find. If you like cherries, definitely seek out this southern treat. Look for their red box with the slanted script Cheerwine logo. Chill all ingredients, gently mix together and serve over ice. Cheerwine is carbonated so I always wait to mix everything together till right before serving to keep it from going flat. For an adult variation add a little of your favorite adult beverage. A splash of white wine, vodka or tequila are obvious choices to add some extra kick, but orange liquors like Grand Mariner™ or chocolate liquors like Sabra™ are also nice. The original recipe called for three 2-liter (67.6 ounces) bottles of Cheerwine and two 46 ounces cans of pineapple juice to serve about 40 people. This is a rough 2:1 ratio of Cheerwine to pineapple juice which makes it easy to scale up or down as needed.